Has it really been 3 months since the last blog? Wow! I guess this retirement gig is rather time consuming. But where to start… we have been busy with lots of guests here at the Goose as well as finishing up the landscaping and working on some maintenance items. I think I have mowed the grass at least 40 or 50 times already! Millions of weeds have been pulled and there are millions left! But we have also slipped away for a few days of getaways! We had a wonderful time in Seattle for my birthday! 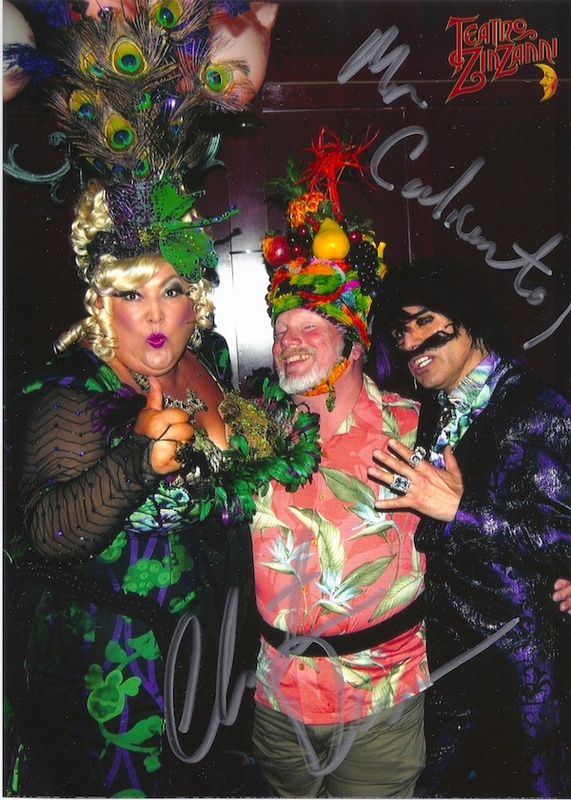 We stayed in a B&B on Capitol Hill, chased sea otters at the Aquarium, had a wonderful surprise at dinner when Wayne & Janette were there waiting for us, and a fabulous time at Teatro Zinzzani where I was part of the show! Now, you may call me Senor Caliente!! Just call me Senor Caliente!! Along with that marvelous getaway, we have also been looking for a new boat! We had placed Escapade on the market while we were off gallivanting around Panama & Costa Rica and someone actually offered us real money for her. It was a little bittersweet since she was a great sailor but we didn’t feel she would make a good live aboard without some major interior work and by now you should all know that is our ultimate plan! So we looked at boats near and far including a run down to Portland where we also snuck in a surprise trip to see my son Greg at his work! It turned out to be quite a surprise and we felt we pulled one over on him! We finally down-selected (see… I can still talk Boeing-ese!) a 2003 Jeanneau 43 Deck Salon, haggled over the price, set up surveys, and finally took her for a sea trial yesterday! If all goes well we will be new boat owners, again, pretty soon! We are now more anxious than ever to sell the Inn and start that new lifestyle!! 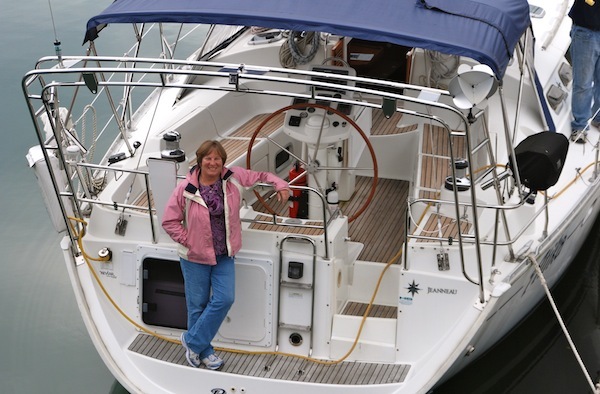 43 Foot Jeanneau Deck Salon… whatever shall we name her?? “Escapade” “No Vacancy” “Goose on the Loose” “Sea Harmony” “Dolphin Caller” just to start your brain juices flowing. We are looking forward to hearing your thoughts! Enjoy the upcoming summer!